This paper is a little long but I think that you will be edified and learn information that commercial Christianity does not teach or want you to know. We are taught that the Reformation was the restoration of the Church which had been polluted by the Catholics and revitalized by Luther, Zwingli, and Calvin; this is the picture that has been passed down for 500 years, a picture that very few have ever questioned and fewer still have investigated. Many have said we need another Reformation but what we really need is another Radical Reformation; let me explain. While studying Church history awhile back, especially the Reformation period, I was dumbfounded to discover that the founders of the movement essentially declared the Reformation to be a failure. The success that has been attributed to the movement was in truth the product of men who had aligned themselves with the world of politics and bloodshed. Protestant Christianity was a success, as commonly taught, but not according to its founders. Equally amazing is that, concurrent with the Reformation, which every eye was watching, there existed another movement, the Radical Reformation. The Reformation, which was a decided failure, as acknowledged by its founders, was nevertheless, recognized worldwide and praised as a great success, while the Radical Reformation, a small thing, which was less known but greatly persecuted beyond measure, was deemed a failure from its inception. What do you think of when you hear the word “radical”? The word has many negative connotations. Words like trouble, extreme, revolutionary, Marxist, nihilist, rebel, terrorist, and subversive come readily to mind for most people. But, for others, the word radical is positive and means: root, beginning, source, fundamental, essential, and to go to the origin, or the essential basis of a thing. It is in this positive sense that we understand the Radical Reformers. What the Reformers preached the Radicals actually accomplished by returning, as Christ commanded, to fundamental obedience and starting all over again. Biblically speaking the Church is a “little flock” (Luke 12:32). That “little flock” image of the Church is said to be “few” by Christ in Matthew 7:14 “Because strait, (i.e. difficult) is the gate, and narrow is the way, which leadeth unto life, and few there be that find it. The true Christian has always gone the way of the few and the radical and separated themselves from the world. Today’s commercial church is all about bigness, flamboyance, prestige, gaudiness, inclusiveness, and money, which parallels Christ’s other words, of the same passage above, “For wide is the gate, and broad is the way, that leadeth to destruction, and many there be which go in thereat.” So, which vision of the Church should we be seeking to understand and model, the way of the many or the way of the few and radical? Christ said that He would birth a Church and, “The gates of Hell will not prevail against it.” We see the Church Christ spoke of in the second passage, big and on every corner up and down Main Street, but that is not the little flock referred to by Christ; then where is that Church? Zwingli, the head pastor of the city of Zurich Switzerland, started preaching against the abuses of the Catholic Church in 1518. The City Council of Zurich was favorable toward Zwingli’s preaching, but at a federal level, he had opposition. For political expediency, the motivation of the Council took an attitude of compromise forbidding, for the time being, all actual deviation from Roman doctrine and practice. Consequently, Zwingli was permitted to preach his reformed message but was denied the ability to actually abandon Roman practices. Luther, in response to the preaching of Johann Tetzel who had been commissioned to sell papal indulgences in certain parts of Germany, nailed his famous 95 theses to the door of the Castle Church in Wittenberg condemning the abuses of Romanism. After being excommunicated by the pope in 1520 Elector Frederick of Saxony swept Luther away secretly and hid him in the Wartburg Castle near Eisenach. The Elector favored the Reformation movement but at the same time had some scruples about totally tossing out the Roman belief system. His advice to Luther was to slow down and to postpone for a short time any plans he had for reformation. Luther, under the care and safety of the state, spent the next year at the Wartburg Castle and as a consequence made the important decision that the Mass (the most vital Roman Catholic practice) should be continued until it could be rejected with the blessings of the civil authorities. In 1525, after the death of Elector Frederick, the Mass, as practiced by the Catholics, was abolished in Wittenberg. With the blessing of Government, the Lutheran Church was made the state church in Saxony, and eventually in all provinces of Germany and the Scandinavian countries while Zwinglian or the Reformed Church was made the state church of certain cantons of Switzerland. While Luther and Zwingli were not in total agreement on the Lord’s Supper and baptism: Luther holding onto the belief of the actual “Real Presence” of the Lord in the wafer and wine, and in infant regeneration through baptism; Zwingli believed the wine and wafer to be symbolic only, and through debates with the Anabaptist Swiss Brethren also came to accept “believer baptism.” The number of Protestant “state” Churches grew rapidly, as can be expected since the state required the membership of everyone. The form of these Churches consisted of the whole population because the rulers of these states tolerated no opposition from the masses; the state had the last word in all church policies and practice and controlled much of the wealth. The princes of these provinces and states wanted to be recognized as supreme bishops, Luther would only refer to them as emergency bishops, but it was apparent that the state did control the church. The important thing here is that the people had no say so, they readily consented to the new Protestant faith. So, now in the place of one pope, they had many popes, but they didn’t care. It was a known fact that the people did not take their faith with sufficient seriousness to be willing to endure persecution for it. In some locations, the state religion shifted between Romanism and Protestantism up to seven times within a few decades. Martyrs amongst the new Protestant Churches were nearly unheard of. Many of these same Protestants ridiculed the Anabaptist for their willingness to suffer persecution for their faith. From the writings of both Luther and Zwingli it is clear that they both initially believed in free and voluntary church membership, the need of church discipline, and the independence of the church from state control. Nevertheless, through compromise they gave their consent to the intermingling of church and state, resulting in failure as described in their own words. Luther in his writings recognized that the promiscuous behavior of the populous church was not a church in the New Testament sense. The words “rabble” and “the multitude” were used often to describe the people instead of “the church.” The general condition of the people was described as “deplorable” and he had abandoned any hope for their Christianization. In the year 1522, he expressed the hope that, “We who at present are well-nigh heathen under a Christian name may yet organize a Christian assembly.” He had a wish of taking from the multitudes a dedicated selection to form a real church, but regrettably, he couldn’t find enough true believers and voluntary cooperation to accomplish the task. In December 1525, Luther had a conversation with fellow reformer Casper Schwenckfeld concerning the establishing of a Christian congregation with true consecrated believers. Schwenckfeld called to his attention that the establishment of the state churches had failed to produce any spiritual or moral improvement in the people. When questioned about church discipline Luther did not even answer him. We can assume that Luther acknowledged that discipline among those who really cared little about spiritual things would be useless, and therefore remained silent. In conclusion to Schwenckfeld, Luther admitted that he did not have enough people to make any kind of real church plan work. Schwenckfeld’s main reason for pressing church discipline was because he understood that discipline is an essential step toward the separation of the church from the world. In the Spring of 1527, Luther expressed again the hope of establishing the church that he had imagined but had yet found enough people to fulfill his dream. Obviously, in his opinion, there were comparatively few who would be ready to unite and to live out the kind of church he envisioned. In Luther’s mind and heart, the Reformation was a failure. He stated frequently that the people had become more and more indifferent toward religion, and that their moral condition was more deplorable than ever. Melanchthon, Luther’s assistant, wrote, “The common people adhere to Luther only because they think that no further duty will be laid upon them. . . . Many believe themselves very pious and holy when they upbraid priest and monks, or eat meat on Friday.” The Lutheran church historian Professor Karl Mueller says, “The aggressive, conquering power, which Lutheranism manifested in its first period, was lost everywhere at the moment when the governments took matters in hand and established the Lutheran creed.” I would have worded this differently. The government did not take what was given to them freely, and the Radicals understood this perfectly and paid the price in the coin of the Kingdom. The light of reformation burnt brightly for a short while but soon flickered and went out. In order to avoid the cross of persecution, these leaders soon joined hands with secular governments and relied on the force of human power more than they did on God. Therefore their work resulted in failure. A change of life could not be detected in those who filled the churches, so the little light that was in them became darkness. This model of failure has endured to our time and lives on in darkness. All the symbols of that religion still exist, all the aggrandizing of government and state patriotism still exist, all of the forms still exist, all the rebellion still exist, and still, the church birthed by the Reformation is in a deplorable condition. But, the story does not end here. We have yet to survey the other Reformation, the Radical Reformation. While Zwingli and Luther were cozying up to the state two of Zwingli’s students, Conrad Grebel and Felix Manz had become discouraged with Zwingli’s see-saw wavering between truth and error concerning state influence in church matters. Such a union implied a far reaching modification of his earlier doctrinal position and his disapproval of certain Romish Biblical practices. Ultimately, at the second disputation with the Council, in which the abolition of the Mass and images was discussed, a difference became distinctly noticeable between Grebel and Zwingli in their attitudes toward reformation. Another of the radicals, Simon Stumpf, in his address to Zwingli, after Zwingli had left to the state a decision concerning the Mass, said, “Master Ulrich (Zwingli), you have not the right to leave the decision of this question to the Council. The matter is already decided; the Spirit of God decides it.” Because of this stand for truth against the state Simon was ordered to leave Zurich. The difference between the Reformers and the Radical Reformers is this, the Radicals would not compromise the truth for the sake of convenience. From this point on Zwingli began to deviate in various respects from his former reformation position. Scarcely six months earlier Zwingli was on the same page as the Radicals, but now all was different. What Zwingli was ready to compromise for political expediency the Radicals were not, and so the polarization was unavoidable. Zwingli and Luther were safe and secure in the hands of the state and if there ever was a blessing on their work it was now gone and the corruption of a little leaven infiltrated the whole lump. While in theory, Luther and Zwingli continued to defend the doctrine of the absolute authority of the Scriptures, they, in reality, took the position that in matters of practical reformation the state was the real authority to be heeded. To read the literature of the Radicals, i.e. the Anabaptist, is to witness for the first time, for the better part of a thousand years of darkness, hearts unveiled and the revelation of truth and light breaking forth. The language of these Radicals reveals a dedication to separation and devotion, as vessels consecrated to God for His use, whether it be in life or in death. Consecration meant no compromise. The Old Testament is a declaration that the misfortunes of the Jewish people were the effect of their believing in false gods and not in the true God. First Samuel chapters 8 and 12, told the people that to all their former disobedience they had added a new one. Instead of God who had been their King they had chosen a man-king, whom they thought would save them. Do not believe in “vain things”, says Samuel to the people (12:21). It cannot help you or save you because it is “vain”—useless. That you may not perish together with your king, cling to the one God. And, it was trust in that “vain thing” that hid the truth from Zwingli, Luther, and Calvin, and many others. On the path to reformation, God, having hidden His light from them, stood those “vain things” which they did not have the strength to resist. Zwingli, at first, agreed with Grebel and Manz, that he would reject the influence of government but later compromised the truth for the sake of a movement. Luther very quickly accepted the help of the Prince and his fortification. Later, when called upon to take part in the struggle against those who the state considered to be evil men the state Churches agreed to judge and condemn them. When it became imperative for them to decide wherein lies the service of God, and wherein the service of “the vain thing” they, all three, chose the vain thing. They obeyed commands to “judge” and swore to inflict punishment against the Anabaptist. What were they to do? They had chosen the law of man over the law of God. No one can escape the question, all must make a choice; there is not a single solitary person, however humble, who has not to choose between serving God by obeying His commands, or serving the “vain thing”—state institutions. The reformers personal lives had become entangled with the common life of the state which demanded un-Christian things of them, activities directly contrary to the law of Christ. Conrad Grebel and Felix Manz, co-founders of the Swiss Brethren, chose to obey Christ and not the commands of men. Grebel, after being cruelly imprisoned for five months managed to escape but died sometime later at the age of 28, a true witness of the cross. 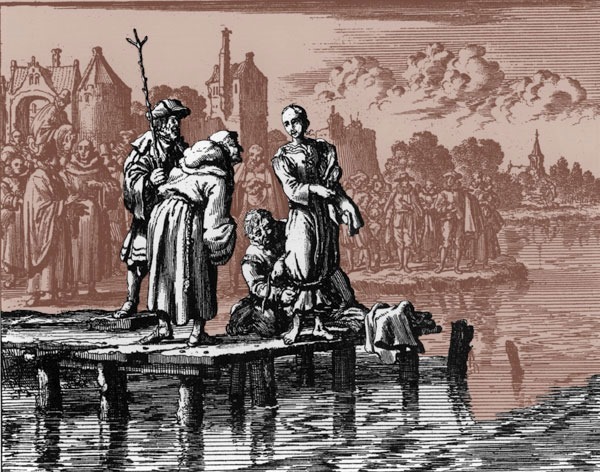 Manz became the first casualty of the new law against rebaptism, and the first Swiss Anabaptist to be martyred at the hands of other Protestants, specifically Ulrich Zwingli. On 5 January 1527, after Zwingli and the council had accused him of obstinately refusing “to recede from his error and caprice,” at 3:00 p.m., was led from his prison cell to a boat, praising God and preaching to the people. A Reformed minister went along, seeking to silence him, and hoping to give him an opportunity to recant. Manz’s brother and mother encouraged him to stand firm and suffer for Jesus’ sake. He was taken by boat onto the River Limmat. His hands were bound and pulled behind his knees and a pole was placed between them. He was executed by drowning in Lake Zürich on the Limmat, he was 29 years old. Zwingli was a renowned and celebrated founder of the Reformation in Switzerland. In 1531 Zwingli’s allies applied an unsuccessful food blockade on the Catholic cantons. The cantons responded with an attack at a moment when Zurich was ill prepared. 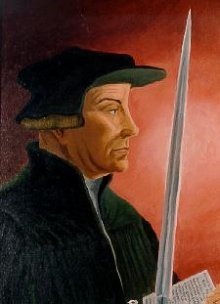 Zwingli was killed in battle at the age of 47 with a sword in his hand, fulfilling the words of Jesus that those who live by the sword will die by the sword. His legacy lives on in the confessions, liturgy, and church orders of the Reformed churches of today, he was 47 years old. Luther was a seminal figure in the Protestant Reformation. On 18 April 1521, Luther appeared as ordered before the Diet of Worms because of the enforcement of the ban against publishing and distributing his Ninety-five Theses. This was a general assembly of the estates of the Holy Roman Empire that took place in Worms, a town on the Rhine. It was conducted from 28 January to 25 May 1521, with Emperor Charles V presiding. Prince Frederick III, Elector of Saxony, obtained a safe conduct for Luther to and from the meeting. Luther, having made a good start, with his response to questions concerning authorship of some books said, “Unless I am convinced by the testimony of the Scriptures or by clear reason (for I do not trust either in the pope or in councils alone, since it is well known that they have often erred and contradicted themselves), I am bound by the Scriptures I have quoted and my conscience is captive to the Word of God. I cannot and will not recant anything, since it is neither safe nor right to go against conscience. May God help me. Amen.” Unfortunately, his start did not finish well. His Reformation, like Zwingli, was secured and compromised by the state. 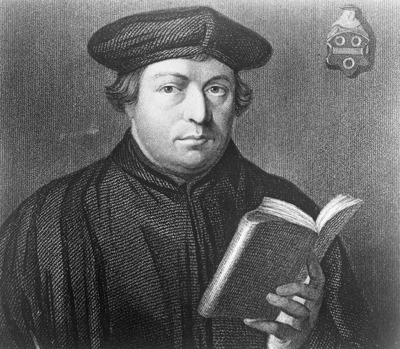 Sola fide, by faith alone, being the hallmark of Protestantism did not result in the effect that Luther had imagined and he had decidedly concluded that the Reformation was a failure. In his words to the peasantry to forgo the growing violence, he hammered home the primacy of core Christian values such as love, patience, charity, and freedom, and reminded the citizens to trust God’s word rather than violence to bring about necessary change. His words rang empty both due to his compromise with Catholic dogma and with the state. By working alongside the authorities to restore public order, he signaled his compromise as a force within the Reformation. After banishing his opposition, the Zwickau prophets, the name given to three men influenced by Thomas Müntzer, a Lutheran preacher in Zwickau, he now focused his battle against the established Roman Church and the Anabaptist radical reformers, who would not compromise on the truth of Scripture. It was said later that the Catholics were an easy fight compared to the Anabaptist who were pious and nonresistant but could still not be defeated. We could mention Luther’s involvement with the bigamy of Philip of Hessenough and his gross antisemitism but the idea is that the Protestant Reformation which has come down to us as the great apex of Christian reform was a failure, except in the eyes of the compromised. What has been so ignored and ridiculed and placed in the garbage heap of Christian heresy, the Radical Reformation, was the real working of the Holy Spirit during this period of history. Our eyes and heart are easily diverted when confusion, fear, ignorance, and power are used to promote truth. I made the statement at the beginning that what we needed was another Radical Reformation. At the beginning of the book of the Revelation, Jesus instructs the Church at Ephesus to “Remember therefore from where thou art fallen, and repent, and do the first works over.” In every age of the Church, those words of our Lord need to be repeated and obeyed. It has always been a returning to our first efforts that initiate revival or reformation. When the Jews returned from their Babylonian captivity they had to start from scratch with the building of the Temple and the walls. All of that first work came at great cost and sacrifice, and persecution. When help was offered by the world it was rejected and those doing the offering were offended and took political measures to stop the work, but God was with them. The advice given to these Jews, when many remembered the greatness of the former Temple, was to, “Despise not the days of small beginnings.” The Radicals understood that true success depended upon going back, all the way back to smallness and dependence on God alone. Today, at the end of the age, we, again, need to go back and start over. As hard as it may seem, that is where we are being called back to. When the Lord returns He will be looking for something small and new, something fresh and alive, something pure and holy, something humble and meek and defenseless, whose trust is in their God. If we will be part of any reformation we too must remember the great height from which we have fallen and go back and do our first works over again. We may yet get the opportunity. World politics will soon mandate that all “true believers” come on board for the sake of unity. We need to decide now what we will be willing to do. Michael Sattler, in 1527, wrote the Schleitheim Confession http://www.anabaptists.org/history/the-schleitheim-confession.html as a way to bond the hearts and minds of those who refused to cooperate with state Christianity. The Confession is still valid today but its appeal will only resonate with those who are of like spirit. I spent some time with the Elmendorf Hutterite community in Minnesota a few weeks ago and felt as if I were at home. Their spirit of nonconformity, separation, and nonresistance was the icing on the cake of a way of life I had already accepted, but have not yet implemented. I believe that you are of the spirit of those who will stand when all others bow, and you will not be alone. Thanks for you response – for some reason I wasn’t notified via email. I was unaware of the Elmendorf Hutterites, so I looked them up and was pleasantly surprised to learn that such a community exists! I also found the linked confession encouraging, although there are very few today who would agree to the separation principle. “… My people love to have it so, but what will you do when the end comes?” (Jer. 5:31b). i spent some time with the old order amish in lancaster, pa. my guess is that they are pretty similar to hutterites in their beliefs. i was humbled by many aspects of their day to day life and their adherence to the spirit and letter of biblical commands. i did get the feeling however that they didn’t seem to me to be that concerned about the spiritual fate of their non-amish friends. in my opinion they like jews see everyone else as passengers on a sinking ship. What was once hot has gotten cold. In the first century, The new Church was hot and grew rapidly through their fresh evangelistic spirit and the more they were persecuted the quicker they expanded. Then, the compromise came with Augustine and Constantine in the 4th century and the true Church went underground. Twelve hundred years of darkness followed. In the early sixteenth century a live coal was taken from the altar of God and placed in the hearts of Conrad Grebel, Felix Manz, and George Blurock. With that christening, the sleeping spirit of honest evangelism was awakened and once again there was rapid growth. The Anabaptist movement of that period revitalized the true Church and spread with amazing speed in the face of death but by the end of the seventeenth century the chill was again felt and Anabaptism slowed to a crawl. 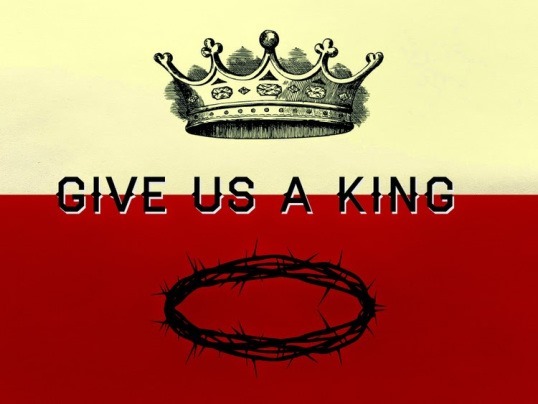 Christians need to again pray for the touch of God to compel believers to offer themselves as living sacrifices on the altar of God and to show dead Christians resurrection power to preach in the face of persecution caring only that they please their Lord. Christians need to witness what God can do when the vessel has been consecrated. Today’s Anabaptist are only symbolical of something left behind when the cross was traded for peace and safety. I love what they represent and have just returned from a few days stay at Elmendorf Minnesota Hutterite Community. That spirit is still alive there and other places just waiting for the heat to be turned up, and it will be turned up, we can be assured of that. The question is, are we ready? What kind of race can we run with the weight of television, radio, music, movies, undisciplined in our dress, language, immodesty, attitude, the pursuit of this world’s goods, uncharitable toward the poor, always afraid and self-sufficient, storing up food and weapons, and all these kinds of things. These weights will prevent us from completing the race, and these are the things desired by Christians, no different than the world. When we look at the Amish and other Anabaptist we see those who have been at rest far too long, but when called upon to compete they will be far more ready than you think. We need to find out why they were like this in the first place? Sure they are odd but so were the Jews who were selected for the purpose of being odd and showing forth a faith unknown to the world and a power to live above circumstance and the daily news. I can imagine that they do not think they have much to offer our modern culture except maybe furniture or barns. A simplicity of life has always been the way of the Anabaptist and although they stay at arm’s length from our way of life I believe they will be among the first to re-start evangelizing in earnest when the time is ripe. you might be right, i hope you are right, they sure are nice people. i wanted to join, they wouldn’t have me, my fault not theirs.